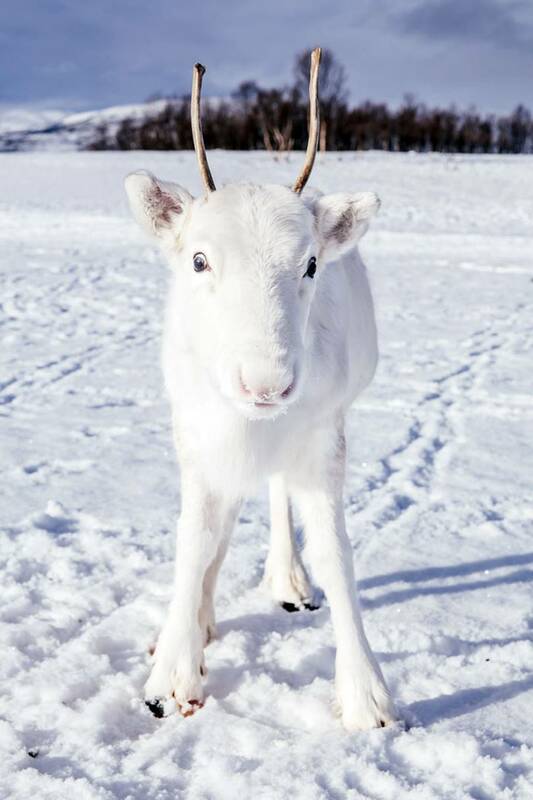 Norwegian travel photographer captures a baby of a rare white deer — This rare white fawn is captured by 24-year-old photographer Mads Nordsveen, he is from the Norwegian city of Oslo wandered through the mountains of Northern Norway and came across a real miracle of nature. 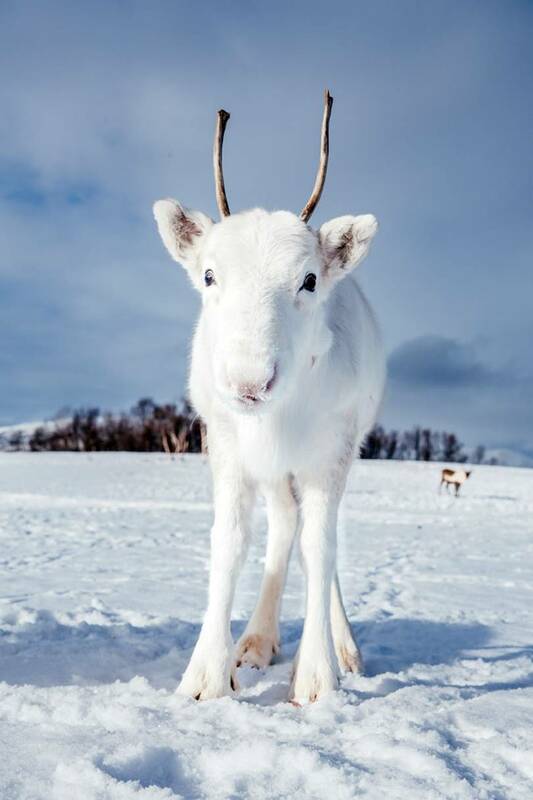 The Norwegian photographer Mads Nordsveen, who wandered through the mountains of Northern Norway and came across a rare white fawn. 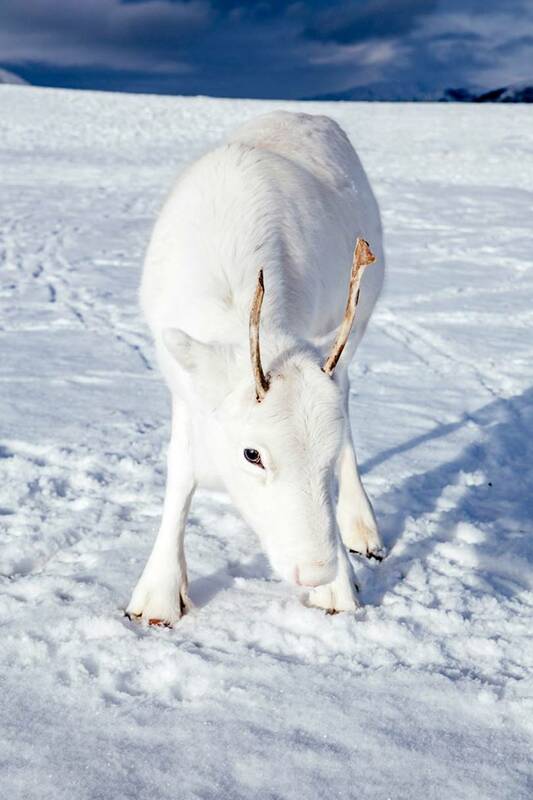 This is not every day you see, and of course Mads captured this miracle of nature on his camera.When Mads Nordsveen searched for beautiful landscapes for his photographs, he saw the rarest snow-white deer. The world-famous Norwegian Travel photographer, who specialized in taking pictures magical moments in unique locations around the world. And one of his recent photos - as if from a real winter fairy tale! While walking in the mountains in search of beautiful landscapes for their next travel photo. 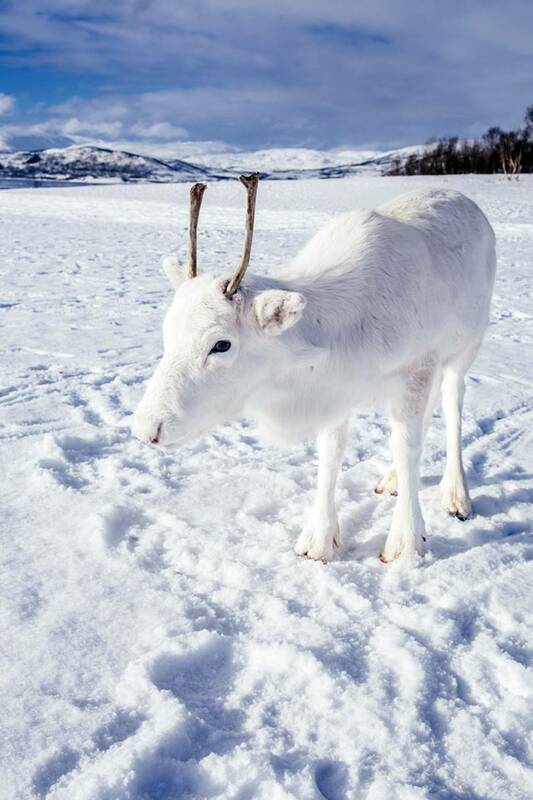 He saw a wonderful little creature appear from nowhere: a snow-white reindeer baby. 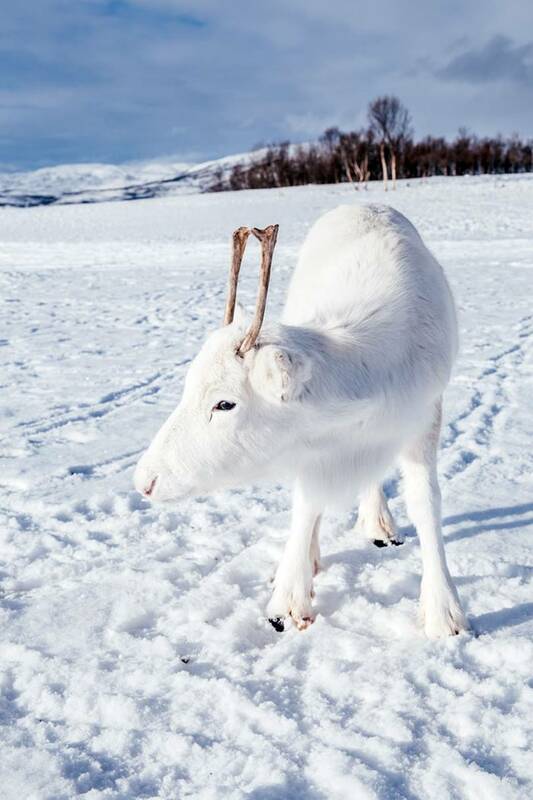 And although the animal was almost imperceptible against the background of the winter landscape, according to Mads, it did not even try to hide from it. Moreover, it even posed for him a little. 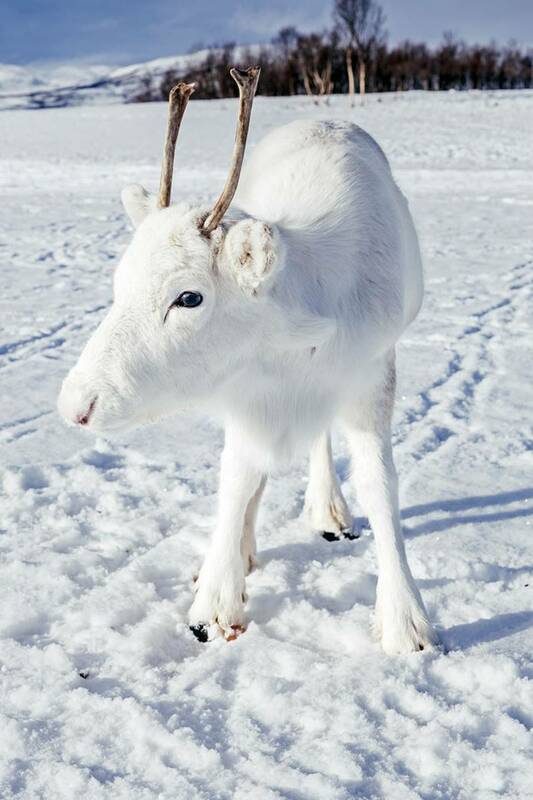 To the surprise of the photographer, the deer did not try to hide or run away and even began to pose for photographs. In addition to the magical photos of Mads, he received another unforgettable experience - the deer approached him very closely and they looked each other straight in the eyes. A few minutes later, the mum of his new friend left the trees. “He walked around for a few minutes until he returned to his mother. It was an incredibly magical moment,” said the photographer.